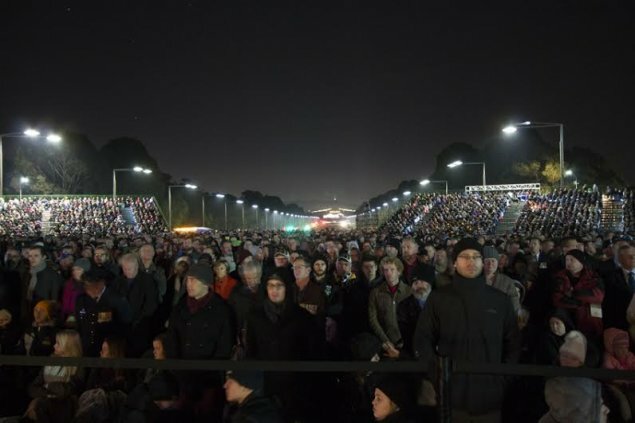 For the 120,000 people in attendance at this morning’s Dawn Service at the Australian War Memorial, Anzac Day began at around 3am (perhaps even earlier for those keen to get a good seat). 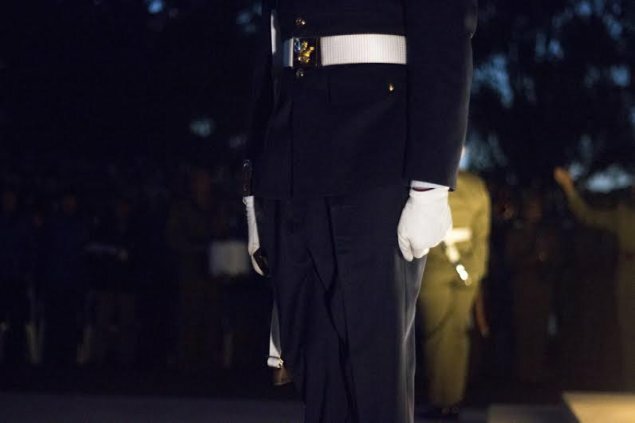 As the dawn rose just after 5:30am, I joined the thousands gathered at the Australian War Memorial to commemorate the 2015,100th Anniversary of the Gallipoli landings. 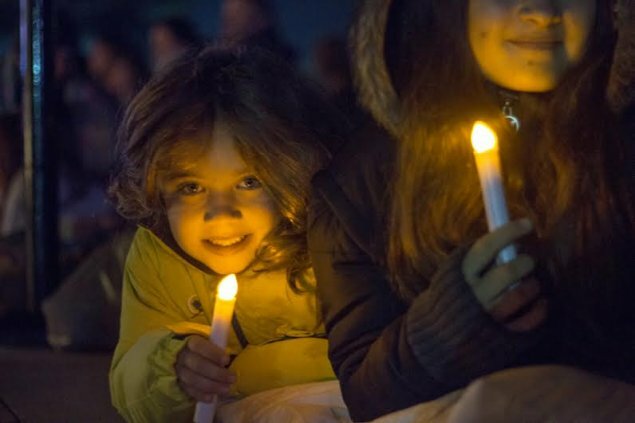 It was a moving and beautiful ceremony and I was impressed that in a crowd that large, people walked slowly, made way for others and nodded silently to each other in the slow procession into the memorial or as they headed off to breakfast. Earlier in the week I had heard a random advertisement asking people to celebrate Anzac day and I thought, surely they must mean commemorate? 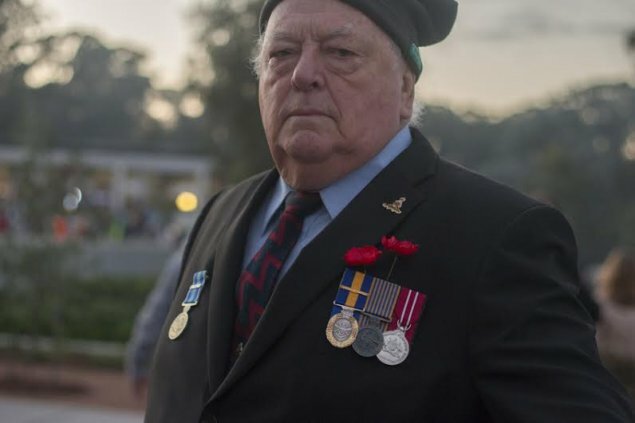 No matter how much bling Anzac Day gets, it does not take away that among or outside the crowds there is a father that misses his brother and a cousin who didn’t get to know his father the way I knew mine. I do not know what my Great Great Uncle who travelled from Bendigo to Belgium only to be buried next to a beautiful cornfield in Ypres at 35 years of age, who wrote poetic letters home in the beautiful handwriting, would make of a celebratory all-you-can-eat Anzac buffet? 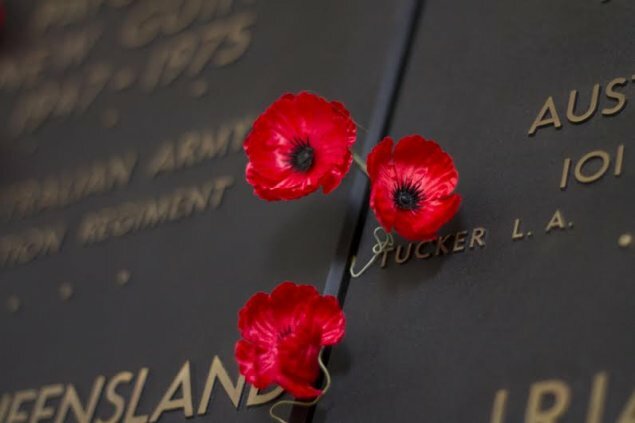 I hope these images represent respectfully the way we commemorate Anzac Day and that the people I saw there today remember that this is one of the ways we publicly acknowledge what we cannot remember, but do not celebrate or glorify. I mentioned earlier that to achieve the numbers claimed, one third of the population of Canberra would have been there. In my suburb there was very little activity in the hours before dawn – probably one car in twenty houses left the immediate area. If the crowd was expected to be 50,000 that would mean that there were totally insufficient toilets for 120,000 but I haven’t heard any reports of queues outside the toilets. I think less than 50,000 is the figure. For crying out loud, why does a third of the population of Canberra have to be there? Who said they were? Despite what everyone thinks, Canberra doesn’t exist in a bubble. People from outside of Canberra exist and they do turn up to events like this which are of national significance. So no, a third of the population probably did not turn up. Maybe no one from Canberra turned up, but there still could have been 120,000 or 150,000 people there or even more. Because people that are not Canberran DO exist. 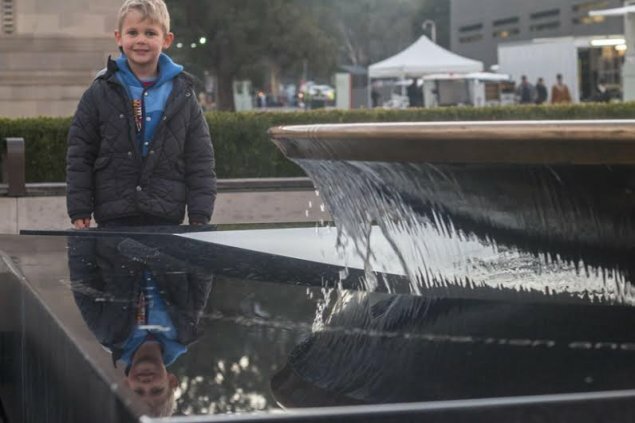 Are you trying to claim 70,000 people from outside Canberra attended and what was special about being in Canberra as Anzac services are held nationally? Why not accept that the organisers where a little euphoric about the whole thing and got carried away and were cheered on by the media. I am happy with that but it would be better if someone said “yes, we got it wrong”. It is not really that important. The ABC TV News last night was claiming thousands of demonstrators turned out in Melbourne on Friday afternoon. The video clip showed about 50 demonstrators with about 200 onlookers. They explained why. The AWM was being much more thorough, why should they waste their time duplicating the results. 120000 is A LOT of people. It would be the equivalent of filling Canberra Stadium FOUR TIMES. One in three of the Canberra population! I’m guessing Brendan Nelson is not a footy fan because it might have given him a sense of scale. A full Canberra Stadium feels like an enormous amount of people when you are in the middle of it and all the stands are full. It also causes a fair bit of traffic chaos and the Mal Meninga stand alone is ENORMOUS compared to the baby seating at the Anzac service. Yet a full Canberra stadium is only 25 000. The analogy with Bruce Stadium doesn’t hold btw. Most people were standing, and an amazing number can fit in a fairly small area. I didn’t bother counting them, but that was huge crowd. Ian Warden in Gang Gang, Canberra Times today, greatly disputes the 120,000 AWM attendance also. Thanks for providing the link. 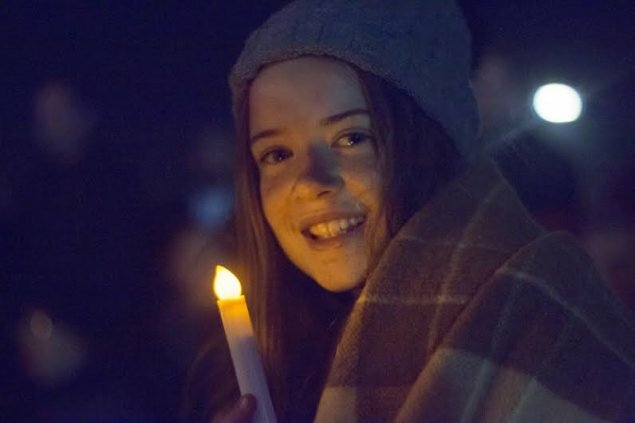 I think in Canberra and Australia-wide it was a tremendous turnout and show of support. Brendan was never good at getting the numbers right in the party room either. He’s not the only one. It brought to mind the year 1996, specifically, the Daily Telegraph’s spectator estimates for the Super League matches. The solution doesn’t have to be rocket science. Just have a no personal vehicle driving zone on specific roads between 5am till 7am. That will let people drive and walk to the AWM and busses arrive easily then after the service finishes at 6:15 the buses can move freely for 45 minutes clearing the crowds and people in cars just have to wait till 7am. Better still: an amnesty on parking fines down the Limestone Ave median strip and along Parkes Way, and an informal parking fee of $10 (collected in buckets by volunteers) with the proceeds to go to the RSL. The NCA’s claims that there are “safety issues” with illegal parking for such an occasion are nonsense. Any minor “safety issue” is more than countered by the convenience for 120,000 attendees. 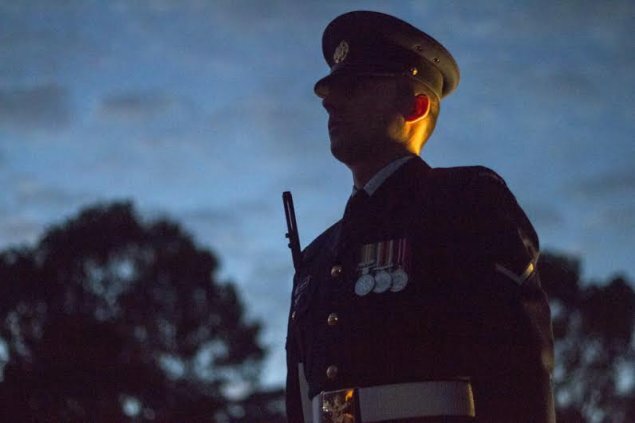 Wouldn’t it be nice to see the proceeds of the parking fines go toward something else apart from the government’s pocket, such as helping war widows or funding to help returned service people cope with life after the military? I take your point about the revenue, but think it would be better if people just didn’t park illegally on the median strip. There was a plenty of free, legal parking a few hundred meters away. Not to mention the damage done by heavy vehicles parked on wet grass. There’s a reason it’s illegal to park there, no matter what festival or event is on. I parked for free less than 800m away and walked past so many cars parked on the median strip. Clearly, they just wanted to be closer because at 3am, there were plenty of spaces (on the dirt) where I parked in Ainslie. Nice sentiment but governments are more interested in spending millions on commerating ANZACs from 100 years ago than funding today’s veterans and veteran community. This book highlights it perfectly. That it’s easier to build monuments to the long dead than to acknowledge failures of the current system. But back to parking, surely we want to encourage less people to drive to the dawn service in general? That if we can get people in and out easily on buses it will help with congestion and jams and will help reduce the risk of an accident of people parking on verges in the dark. Thanks for sharing the link to the book! 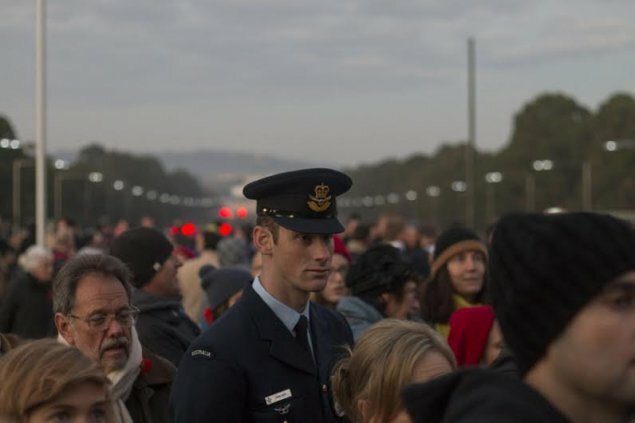 Hopefully next year the transport situation will be a bit less contentious and we can focus on what an amazing job the AWM did organising such a beautiful service to commemorate ANZAC100. Oh well, I am sure there was no-one there with a people counting device. In any case, what a beautiful service and a respectful, amazing crowd! And thank goodness it did not rain until later. Thank you so much Milly. It was a beautiful morning, doing what I love. So glad you enjoyed the images.